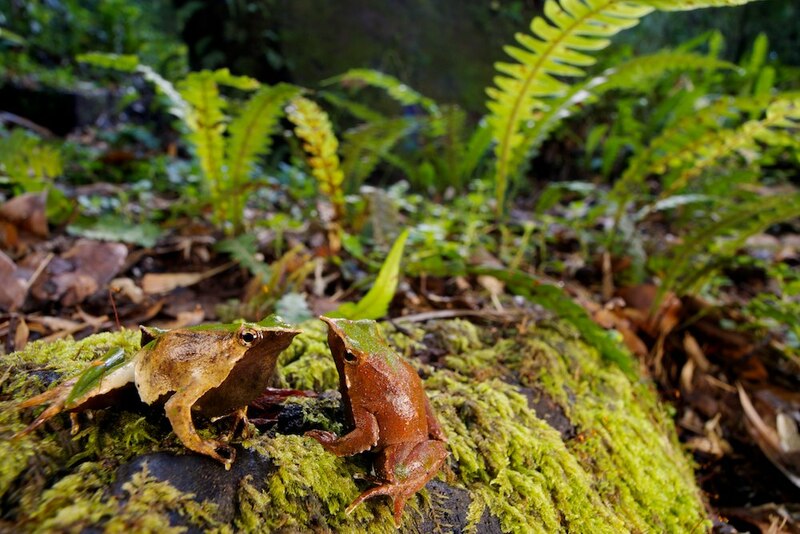 Discovered by the man himself during his trip with the Beagle, the Darwin’s frog (Rhinoderma darwinii) is one of the most remarkable frogs in the world. 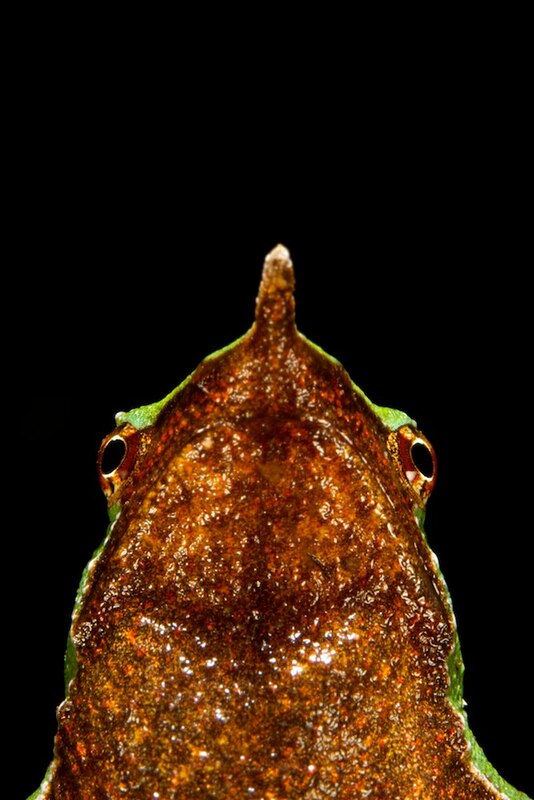 It is found in the temperate and austral forests of Chile and Argentina and is very well camouflaged. Besides its funny nose (without a known function), the most astonishing about this animal is its reproductive behaviour, with a rather rare case of parental care. The males attract a female to a sheltered place in the forest, where she deposits her eggs which are fertilized by the male directly after. 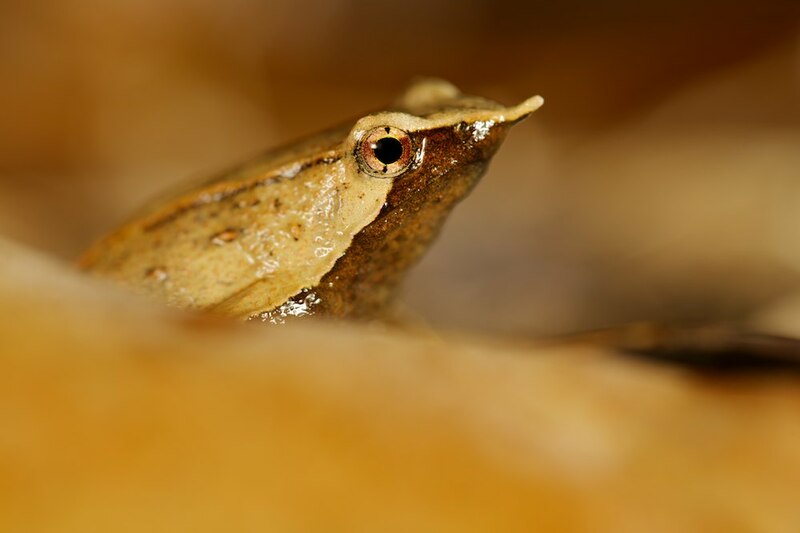 The male attends the eggs and when the tadpoles start wriggling in their eggs, the male takes them up in his vocal sac. There they hatch and continue their development for 50-70 days until they are fully metamorphed into froglets. To see how they are then finally “born”, you can watch a short movie from National Geographic: click here. There have been found up to 19 embryos in the vocal sac of a single male! 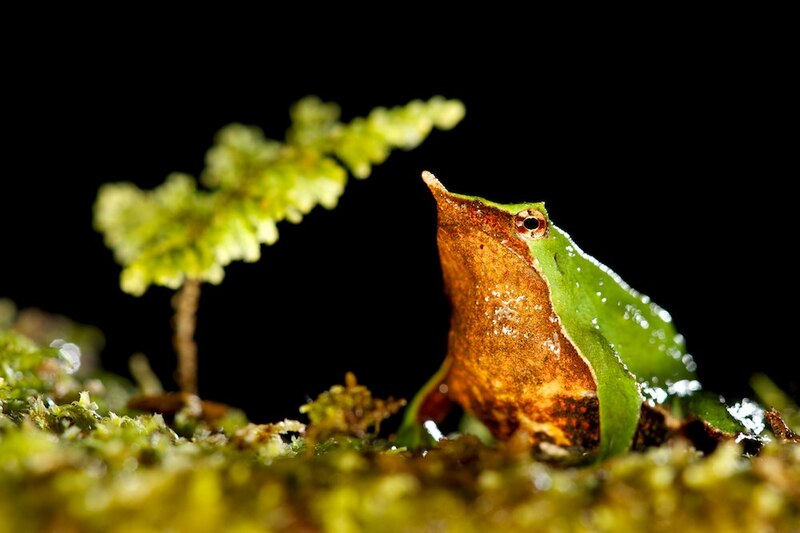 Unfortunately also this frog is threatened by human influences, and the only other species of the genus, Chile Darwin’s Frog (Rhinoderma rufum), is believed to be extinct. 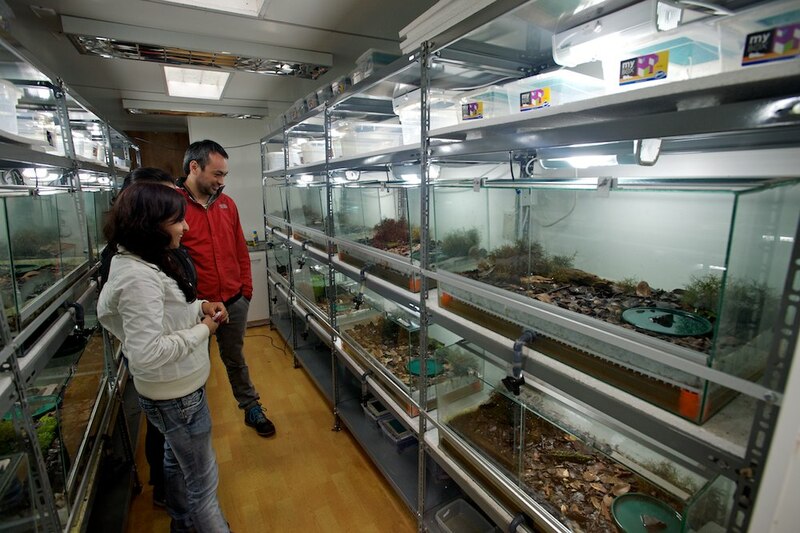 On several locations in Chile, institutions have set up captive breeding programs. 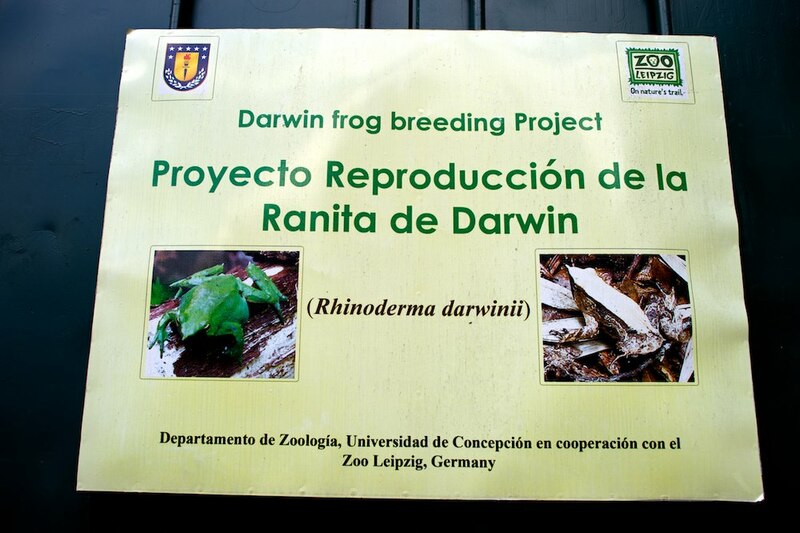 On my past trip I encountered many individuals in the forest and also visited one of the captive breeding efforts at the university of Concepcion. 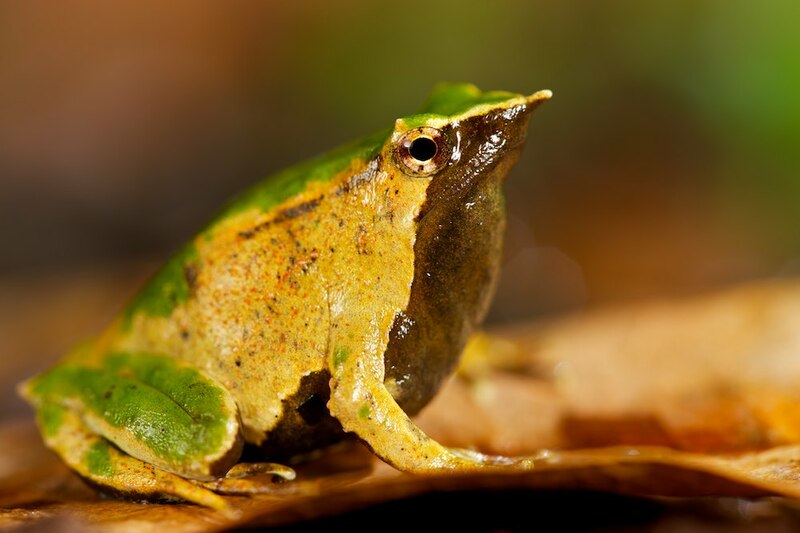 This entry was posted in amphibians, frogs and toads, man & nature, South America and tagged Amphibia, Anura, Conservation, Darwin, parental care, Rhinoderma, Rhinodermatidae, South America. Great photograph, I have to say. I came across this piece after following up from a piece I wrote last year on Darwin’s from which you might be interested in. Perhaps you know the people involved? If you wanted to contribute to a follow up article on the conservation project, you would be very welcome. Bijzonder soortje dit! En zalige foto’s ervan!